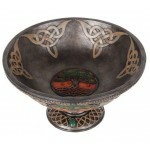 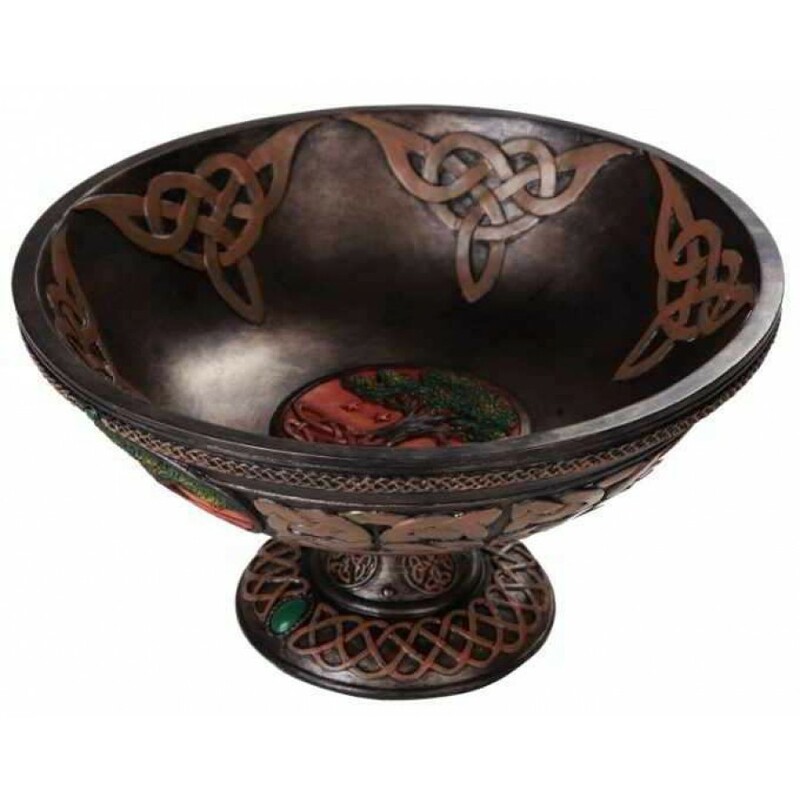 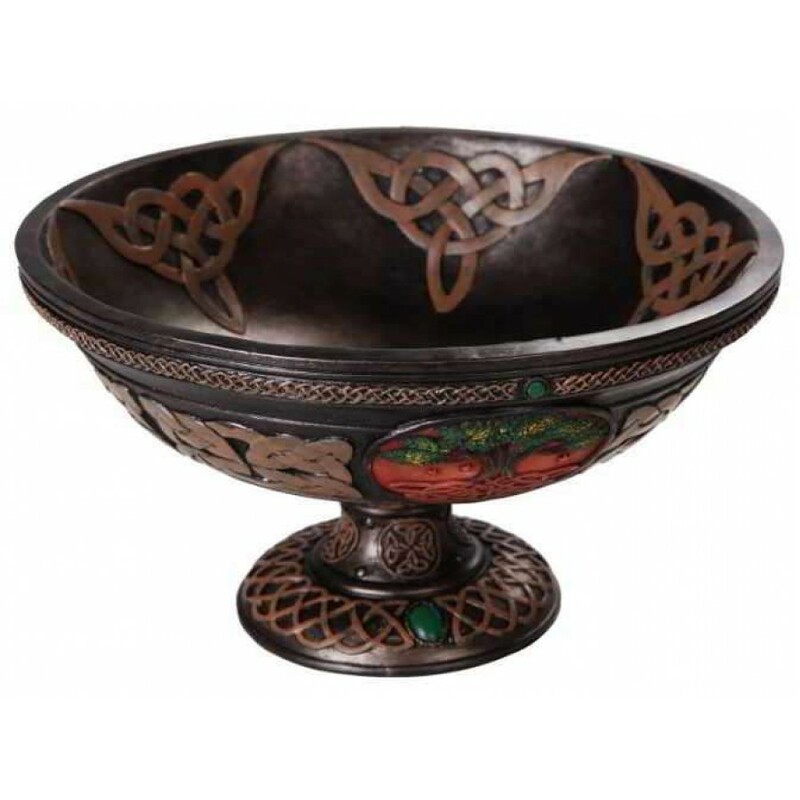 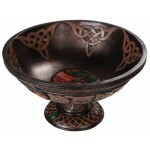 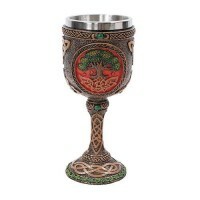 This gorgeous footed bowl with Tree of Life and Celtic Triskele knot motifs is perfect as an altar offering bowl. 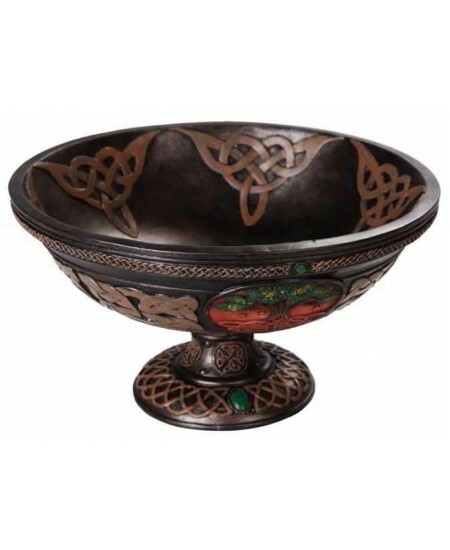 Many traditions make offerings to their patron God or Goddess. This Tree of Life bowl is perfect for altar offerings or can be used for so many other things from scrying to holding small trinkets or crystals. Cold cast resin with hand painted detail, the bowl is 8 1/2 inches in diameter and 4 3/4 inches high. 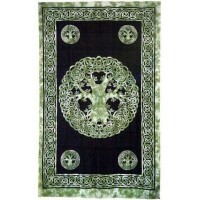 Item Number: PT-12244 | Approximate Size (Inches): 8.50 wide x 8.50 deep x 4.75 high | Approximate Shipping Weight: 2.00 lbs.